In my book From Aid to Trade, I talk about why I think aid can hurt if used alone as a mechanism forpoverty alleviation and economic growth. I argue how buying local helps and how importing massive amounts of commodities that are subsidized or free can undermine and bankrupt Haitian businesses. In this piece, I want to build on the practicality I present in my book with more empirical evidence from studies on the long-run effects of aid. Amartya Sen, the famous Nobel Prize winning economist and philosopher puts it best: “The challenge is to respond to the plight of the hopelessly impoverished without neglecting to insist that help come in useful and productive forms.” This is the fundamental challenge when it comes to aid, the perceived benefits, and the actual results. People want to help. However, as you may well know by now, good intentions often don’t yield the results that they aim to provide. 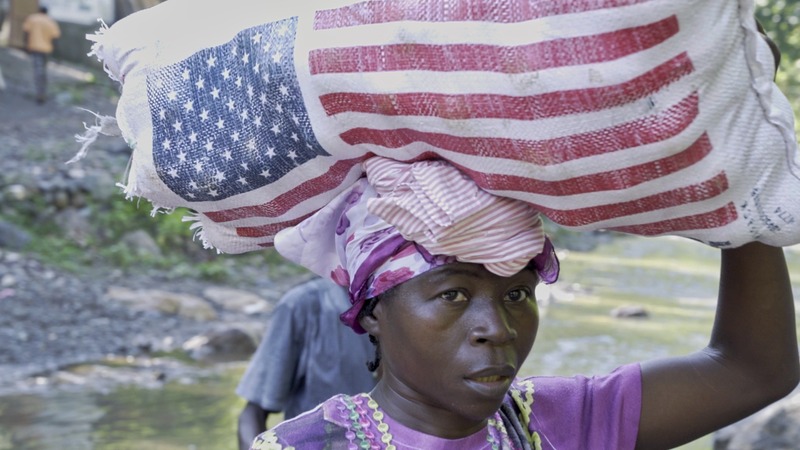 Unfortunately, aid is not only just failing to live up to its billing, but it can hurt low-income countries like Haiti. How do free dollars (in the trillions in aggregate) not only fail to deliver on their promises, but hurt the economies across the globe that they’re being poured into. The psychology behind the ease of being addicted to aid or the psychology behind why aid can be ineffective is a relatively easy concept to grasp on a practical level. One, on a micro level, take one of the problems discussed in Banerjee and Duflo’s book Poor Economics and brought to light here … mosquito nets that are distributed at no cost to help prevent something as serious as malaria may not even be used to cover beds. Alternatively, they have been used by fisherman, or not used at all because of their perceived value (everyone has one and they didn’t cost anything). On a larger scale, if public institutions aren’t strong, government corruption is rampant, and rule of law is non-existent, it doesn’t take a rocket scientist to figure out that aid dollars aren’t going to be allocated efficiently or even allocated at all. Think about this… if poor and economically weak countries are the ones attracting aid dollars, then isn’t there an incentive for the powers-at-be to keep the status quo, ultimately attracting more aid dollars in the future? Aid funneled into corrupt hands for allocation to the people or to a program is just like throwing money into a well and hoping it has an impact. As long as a government can stay buddied up with foreign donors, there isn’t really an incentive to find other avenues of revenue, and as long as revolts are avoided, and donors don’t see the real story, the cycle of poverty and corruption continues. I think that a lot of foreign institutions that lend perpetuate the aid machine as well. The Western World tends to focus on quantity rather than quality. If an organization is pressured to write x dollars in grant money, they will do it, and the efficiency of these dollars takes the backseat. Another example… if someone runs a microfinance institution in Haiti, and in casual conversation says that they only lent $465 in microloans in the last fiscal year, that might not look great relative to the allure of success and action behind saying that they lent $30,000; the perceived impact is greater. Being more efficient in how aid is given is an important focus as we move forward combatting the aid problem. Now, think of this same principle but applied to large lending institutions or other givers of foreign aid to Haiti. If efficiency was already our main focus, countries wouldn’t be sending subsidized or free products into Haiti when the country itself can produce those products. The flooding of subsidized or free commodities like rice, beans, or soap, which drastically increase the supply and lower the price below breakeven points for domestic firms selling the same product, puts these sellers out of business. This is an example of how aid hurts. You simply can’t compete with free stuff. I’ve talked about the pitfalls of aid many times, so some of the ideas above might sound familiar. I hope that you can take these plausible, real-world examples and understand why aid hurts. However, it is also important to recognize that, as I will mention in this section, that the data from robust economic studies shows us what the long term effects of aid are. I won’t give a rigorous analysis or detailed explanation of the papers and studies I am about to mention, but I do want to highlight some of the important findings in studies whose purpose was to measure the effects of aid to a country for that country. Albiman MM (2016) studied the impact of foreign aid on economic growth with evidence from Tanzania and found that in the short run, there was no impact on economic growth, while the research found that there was actually a negative effect in the long run. In other words, when foreign aid dollars came in, over a short period there was no impact, good or bad, in terms of economic growth. In the long run, however, foreign aid actually hurt Tanzania in terms of economic growth. In Dambisa Moyo’s book Dead Aid, the author highlights three important studies: Clemens et al. (2004) conceded that there was no long term impact of aid on economic growth, Hadjimichael (1995) and Reichel (1995) found a negative relationship between savings and aid, and Boone (1996) found that foreign aid led to unproductive public consumption while failing to promote investment. Another important point is that aid’s effectiveness in the long-run over the past 30 years is negative. The most aid-dependent countries had growth rates averaging -.2% per year. Moyo points out that the evidence against aid is so compelling that the IMF—a leading provider of aid—has warned aid champions about thinking of aid more as a tool rather than an end-all saving grace that is capable of delivering the intended results. In Alesina and Weder (1999), the authors conclude that aid actually tends to increase corruption, making the cycle of poverty and ineffectiveness of aid even worse. In one of my most recent blog posts, I touched on why strong institutions matter in the fight for economic growth. Herzer and Morrissey studied the effectiveness of aid in the long-run. They too found a negative effect from aid but isolated strong institutions as being the most important factor to consider when explaining this relationship. The data shows that in the long-run, foreign aid is not positively correlated with growth. It is my hope that the narrative will continue to change. Borrowing from a Chinese proverb, Haitians need to learn how to fish, not just be given cans of tuna. Fortunately, there is good news. Haitians know how to fish, and they want to fish, so it sounds like the focus needs to be the environment that makes it easy to sell that “fish”. For more analysis and a more comprehensive look at how foreign aid can have unintended consequences, check out my book From Aid to Trade.